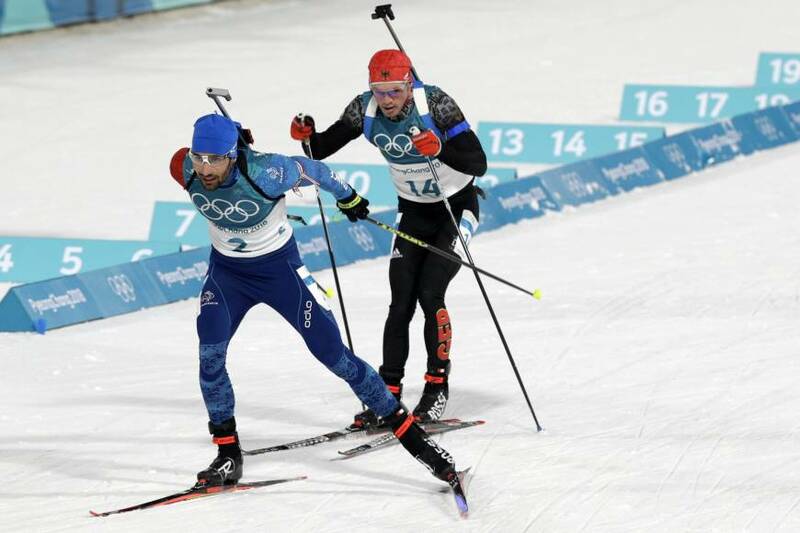 PYEONGCHANG, SOUTH KOREA - Martin Fourcade became France’s most successful Olympian of all time on Sunday with a brilliant display of shooting and skiing to win the men’s 15-km mass start biathlon race at Alpensia Biathlon Centre for his fourth Olympic gold. Simon Schempp of Germany lost out to the Frenchman in a furious sprint finish, coming in a fraction behind to take silver, while Norway’s Emil Hegle Svendsen took the bronze medal. The Frenchman crossed the line and angrily slammed one of his ski poles, thinking that Schempp had beaten him, but his frustration turned to joy moments later when he was declared the winner of a thrilling race. 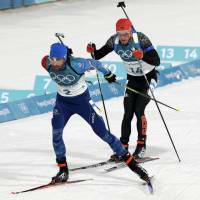 Fourcade, the 12.5-km pursuit champion, got off to a bad start with a miss in the first shoot, and adding insult to injury, he hit the deck just after leaving his penalty lap, costing him even more valuable seconds. He faced stiff competition from the German trio of Schempp, Benedikt Doll and Erik Lesser, who took turns at the head of the pack with the 31-year-old from Perpignan. Doll was in with a shout of a medal but a miss on the range sent him sliding down the field and his compatriots Schempp and Lesser were left to battle it out with Fourcade. Shoulder to shoulder at the final shoot, Fourcade and Schempp both had a single miss, with Lesser putting himself out of contention with his first two wayward shots of the night. Schempp stayed with Fourcade all the way on the final skiing lap but the wily Frenchman, who was runner-up in this race in 2010 and 2014, threw his ski across the line to claim the gold by the narrowest of margins and write his name in the record books.